Raw material that we use for preparing our offering is sourced from the reliable places and that too after complete quality confirmation. As a result of which, our products have no match in the market. We are offering our products in quality packaging to guarantee zero damage during transit. For this, we have hired professionals who hold immense knowledge in this domain. 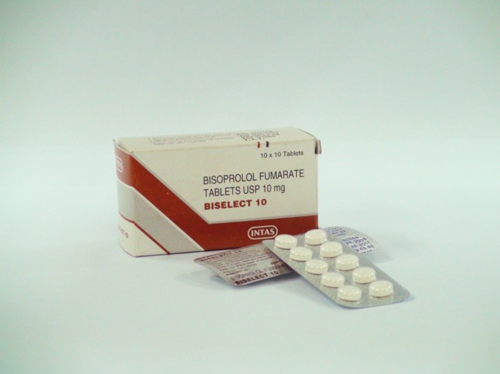 Details : Biselect(Bisoprolol) is used to treat high blood pressure and certain heart diseases (like angina, myocardial infarction, arrhythmias and heart failure).Bisoprolol belongs to a class of medications called beta blockers. It works by relaxing blood vessels and slowing heart rate to improve and decrease blood pressure.